This entry presents an overview of the psychosocial research conducted at both ends of the spectrum of sport engagement. First, we examine the psychosocial benefits of recreational youth sport involvement for adolescents with disabilities. The next section discusses the psychological challenges and mental preparation at the highest levels of sport involvement for athletes with disabilities: the Paralympics. This section will report on two areas within the area of youth sport. First, the research on common sport self-perceptions, such as physical self-concept, thought to be influenced by sport, is examined. Second, the sport as a setting where children can develop social connectedness and reduce loneliness is discussed. It is commonly thought that individuals with disabilities may experience low self-esteem because their disability may limit their ability to experience sport success. At the same time, sport can be a vehicle that increases competence if children participate and improve their abilities. Unfortunately, researchers have shown that poorly coordinated children are less active at play, spending more time watching other children play than better coordinated children do, thus limiting their opportunities to improve. Additionally, researchers have shown that children with movement difficulties may fail more in sport relative to children without movement difficulties and as a result have lower perceptions of athletic competence compared to children without developmental coordination disorder (DCD). In addition to reduced feelings of pride and satisfaction from limited mastery experiences, significant others may withhold positive feedback and be critical. Children with DCD have reported feeling anxious and humiliated because they were teased. Although accomplished youth athletes with dis- abilities view themselves as serious athletes, they often perceive that others do not. In contrast to the above findings, other researchers examining the self-esteem of children with disabilities have found self-esteem scores comparable to that of able-bodied athletes. In a rare intervention study, children participating in a 4-week wheelchair tennis program enhanced their general perceived and tennis competence but did not increase overall self-esteem. In a second intervention study, the impact of a 12-week sport intervention on motor skill development was examined. Students with and without disabilities were randomized into intervention and comparison groups and the intervention group participants showed increases in object control and locomotor skills compared to the comparison group. Other researchers examining both wheelchair sport and wheelchair dance have reported favorable increases in self-perceptions ranging from global self-esteem to self-confidence and control. The motivational climate that youth sport athletes perceive can also have an important influence on perceived competence. For example, children with disabilities who perceived a strong mastery climate in physical education had higher levels of competence compared to children who viewed the climate as less mastery oriented. Social support by significant others is also important as adolescent athletes’ self-efficacy is positively related to three different types of social support: listening, emotional challenge, and technical challenge support provided by friends, parents, and coaches. These findings suggest that sport self-efficacy may partly be the result of encouragement and social support coming from diverse relationships. The social nature of sport makes it a potentially important vehicle for psychosocial development. For example, adolescents perceive that their involvement in sport increased the favorable impressions able-bodied others had of them. Given that children with disabilities have fewer friends and are lonelier than children without disabilities, sport offers a tremendous opportunity to promote social connectedness while simultaneously enhancing health outcomes. Jeffrey Martin and colleagues have found that youth athletes with disabilities derived a variety of social benefits from having a best friend on their sport team. Gender differences were apparent with girls, compared to boys, indicating that their best friend looked out more for them, they had more common interests, stuck up for each other more, and were more encouraging after mistakes. Girls involved in formal disability sport receive more social support for their sport engagement compared to girls participating in more informal sport. Girls engaged in more serious high-level formal sport had role models who provided shared social reality support, emotional support and challenge, and technical support and challenge. Parental encouragement has also been related to physical ability perceptions and sport commitment among international level adolescent athletes with disabilities. Athletes reporting more encouragement from their parents reported stronger perceived physical ability and a greater commitment to sport, compared with athletes reporting less parental encouragement. In contrast, children in a therapeutic martial arts program received lots of parental encouragement, but it was unrelated to their perceived physical ability. Because mean levels of support were high, the researchers interpreted their findings positively as parents did not limit their support to higher skilled children and ignore less-skilled children. Youth with disabilities who played in an after- school disability sport program mentioned the importance of connecting with other youth who had disabilities. This sense of connectedness helped them feel more authentic. The researchers conducting the study speculated that the specific adapted nature of the sport program versus a nonadapted sport program was instrumental in creating a cli- mate that allowed the participants to be person- ally expressive. Other sport psychology researchers have reported on enhanced social integration during sport because of increased opportunities for children to interact with their teammates. A benefit of this increased interaction is greater social bonding and a broadening of children’s social networks. Interviewers of 20 Swedish children participating in disability sports programs have also concluded that sport provides a means for the development of new friendships. The 36 adolescents participating in an adapted sport program who had the highest positive affect also reported the strongest peer relationships. Thus, a potential outcome of positive peer relations in a sport context is enhanced quality of life (positive mood states). Some research suggests, however, that the experiences of children with disabilities in sport are sometimes less than positive. For instance, some individuals feel as if their physical abilities are denigrated and their sport participation trivialized. Even good intentions can go awry. For example, children with disabilities sometimes see offers of assistance in sport settings from able-bodied children as a negative assessment of their ability. Their self-esteem is threatened when they perceive that help is offered based on a negative assessment of their ability. Sport participants also report feelings of frustration and inadequacy when attempting to accomplish activities that they are inexperienced in or lack the skills to be successful in. In summary, it should be clear that the sport setting is not inherently a context that promotes well-being among all participants all the time. As such, sport settings cannot be labeled as exclusively positive or negative. Adults, youth without disabilities, and youth with disabilities themselves, exert influence on the outcomes they experience in sport. The potential for positive experiences is greater when adults with emotional attachments (parents) or with sport expertise like coaches are actively engaged with the children in ways that are supportive and promote skill development. The potential for negative outcomes is reduced if peers are not allowed to engage in discriminatory and unkind behavior. The Paralympics, like the Olympics, are considered the highest level of competition that an athlete with a disability can aspire to. The increased attention that the Paralympics get and the importance that governments, coaches, and support staff attach to Paralympic performance have the potential to make the Paralympic experience both exciting and stressful. Research with U.S. Paralympic coaches reveals that they believe athletes encounter pressure to perform well and win. Coaches also believe that the increased media and family attention increases stress. Many researchers have substantiated the value of athlete’s feeling confident, developing optimalmood states, and employing psychological skills. Researchers examining elite amputee soccer players, Paralympic wheelchair basketball players, international-level wheelchair road racers, and swimmers have all supported the value of psychological skills. Well-developed psychological skills help athletes manage and cope with stress. 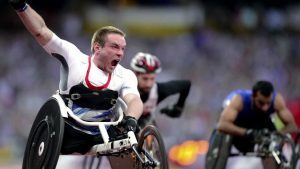 Sources of stress among athletes with disabilities reflect common sport sources of worry (e.g., lack of fitness), sources of stress unique to disability sport (e.g., wheelchair or prosthetic concerns), disability (e.g., pressure sores), and the nature of the Paralympic experience. We next focus on the unique challenges presented by the Paralympics. British elite Paralympians have reported that traveling to major international competitions is stressful and noted specific factors such as having to get onto the plane first and off last as adding to their stress. A sport psychologist working with one Paralympian reported that his client’s biggest source of stress was managing the 26-hour flight to the Paralympics. Getting on and off the plane, transfers from seat to wheelchair to toilet and back as well as personal care in general during the flight were all worrisome. Skiers in the 2014 Winter Paralympics will compete 60 kilometers from the Paralympic village. As a result, athletes will have extensive travel arrangements or have to stay off site and miss part of the Paralympic experience. Para-equestrian dressage riders at the 2008 Beijing Paralympics competed off site in Hong Kong. All the riders reported that they missed the main Paralympic experience. Hence, it seems wise that Paralympians psychologically prepare for either extensive travel, depending on their event, or pre- pare to not spend all of their time in the Paralympic village. According to British Paralympians, being away from home for a long time period is stressful. Athletes miss their significant others and the social support they receive from them. Paralympians spend a substantial amount of time in the Paralympic village. For athletes who compete at the end of the games, they must spend a critical amount of time in an unfamiliar setting and sleep in a bed they are not accustomed to. In a study of Brazilian Paralympic athletes participating in the Beijing Paralympics, a majority of them had poor sleep quality during the games. Anxiety was linked to poor sleep as 72% of the athletes exhibiting poor sleep quality had medium levels of anxiety, whereas only 28% of the athletes who had good sleep were anxious. British National team members have also reported that they were concerned with whom they would share a room and how well they would be able to compete after a poor night of sleep. Paralympic support staff need credentials to access the Paralympic village but these credentials are limited. As a result, compared to non- Paralympic competition, athletes may have less access to their sport psychologists and coaches. When available, coaches and support staff are often overworked and tired. The ability to see doc- tors, therapists, masseurs, and athletic trainers is similarly constrained. Athletes with disabilities are functionally classified, which determines who they compete against. Being classified, which occurs prior to competition, can be stressful because athletes may anticipate being reclassified at a different level than they were previously. If athletes are reclassified, they may have to compete against better athletes. Clearly such a scenario can reduce confidence and increase anxiety at a crucial time. Drug testing occurs at the Paralympics and may be a new, and therefore stressful, experience. Testing at the Paralympics can potentially be more involved and complicated compared with the testing done by able-bodied Olympians. For instance, many athletes urinate via catheters. Other Paralympians may have to file exemptions because of the medications they consume related to their disability. Some Paralympians endure chronic pain and may manage it with medical marijuana, which, although legal at home, is a banned sub- stance at the Paralympics. In summary, most elite athletes are affected by the events and conditions of their sport world. However, Paralympians have to deal with many unique conditions and challenges that can be barriers to optimal performance. Goodwin, D. L. (2001). The meaning of help in PE: Perceptions of students with physical disabilities. Adapted Physical Activity Quarterly, 18, 289–303. Hedrick, B. N. (1985). The effect of wheelchair tennis participation and mainstreaming upon the perceptions of competence of physically disabled adolescents. Therapeutic Recreation Journal, 19(2), 34–46. Martin, J. J. (1999). A personal development model of sport psychology for athletes with disabilities. Journal of Applied Sport Psychology, 11, 181–193. Martin, J. J. (2005). Sport psychology consulting with athletes with disabilities. Sport & Exercise Psychology Review, 1, 33–39. Martin, J. J. (2006). 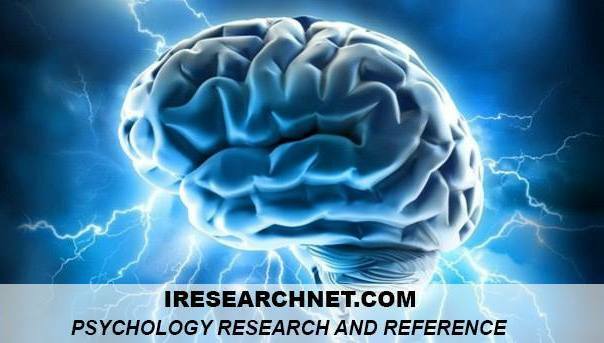 Psychosocial aspects of youth disability sport. Adapted Physical Activity Quarterly, 23, 65–77. Martin, J. J., & Smith, K. (2002). Friendship quality in youth disability sport: Perceptions of a best friend. Adapted Physical Activity Quarterly, 19, 472–482. Martin, J. J., & Wheeler, G. (2011). Psychology. In Y. Vanlandewijck & W. Thompson (Eds. ), The Paralympic athlete (pp. 116–136). London: International Olympic Committee.